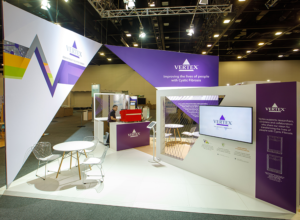 Exhibition stands are a big opportunity to showcase your brand and connect face to face with your target audience. Exhibitions are designed to bring together people who share a particular interest, often in large numbers. Your competitors are also likely to be there too, so how do you stand out amongst so many people and so many stands? Your presence has to to grab attention and start sales conversations to capitalise on the potential of a captive and targeted audience. There’s an art to the design of a good stand but differentiation is the key to cutting through and attracting your audience. 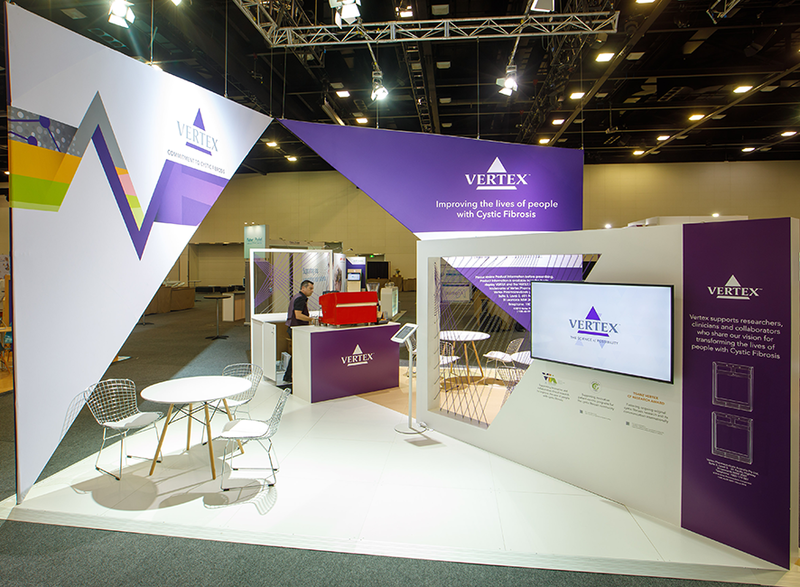 One of the first things to consider when designing a stand is the visibility of your brand in the venue. Utilising height is often a simple, initial step in creating awareness and interest in your brand. Once people are aware of your brand, you then need to get them to step onto the stand. Utilising the space in a way that is open and inviting is important. No one wants to step onto a stand that’s intimidating or that they feel they’ll be trapped on! Make highly visible things that spark their interest and if large enough, the stand should allow for different types of interactions and conversations. Having attracted and tempted your target audience onto your stand then it’s all about the experience. The success of the conversations that take place ultimately depend on your staff. A good stand lets the staff feel comfortable. If employees are equipped with the right tools they will bring the confidence they need to do their job and promote your products. You want people to navigate their way around the space, all the while becoming immersed in your brand. It’s important that your stand has a buzz about it. One way to distinguish your stand and create an engaging presence is to integrate technology into your stand design. Incorporating video, iPads, interactive screens, or something more adventurous like virtual reality, will help draw delegates to your space and connect with your brand in an immersive way. Consider using technology like gamification, leaderboards and other apps to provide a richer brand experience. Don’t ever underestimate the power of great coffee to attract people and put them in the right mood for a conversation! Waiting for a coffee and then being able to find a relaxed place to enjoy provides plenty of opportunities to strike up a conversation or even just absorb your key messages. If you would like to discuss your exhibition needs please get in touch and also take the time to have a look at the case studies on our website!